As he explains at the outset of another musical encounter..."just something I picked up, a knack of going along with somebody's song, putting myself into it..".."Marlene Dietrich, not one of my favorite people, but.." - William Burroughs' spirited rendition of Dietrich's classic torch-song, "Ich bin von Kopf bis Fuss Auf Liebe eingestellt" (literally, "I'm head to toe ready for love" - perhaps better known in its English transformation as "Falling in Love Again") is not something to be missed, and, once heard, unlikely to be forgotten. It appears as the last track on the 1990 Hal Willner-produced Dead City Radio album of recordings made in Lawrence, Kansas. You should check out Dietrich again. A PBS documentary deals with her early life as a rebel and member of the Berlin avant garde during the Weimar Republic. She brought that approach to roles in Germany and Hollywood. She stayed in Hollywood after the rise of Hitler, and was a powerful figure as an exile who refused to support the regime. Then there's her art as actress and singer. 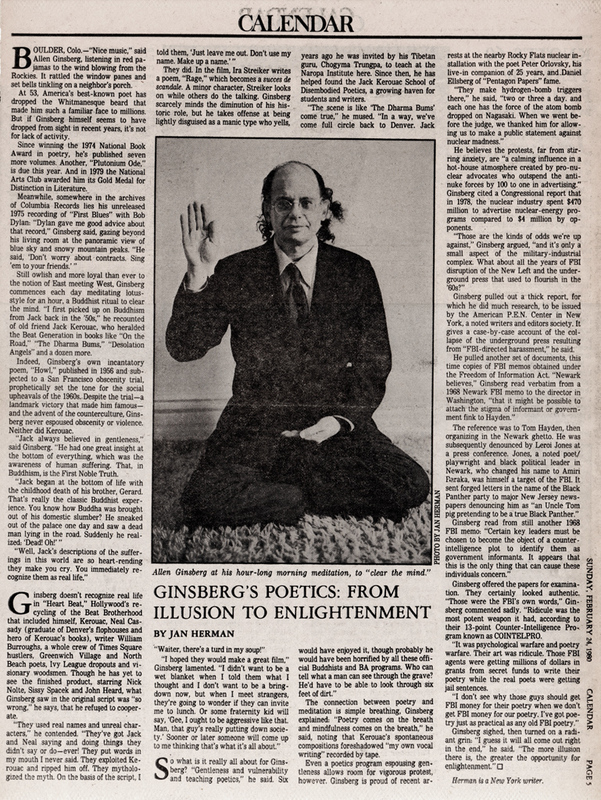 Allen Ginsberg - House Hold Affairs (home movie) 1987.